Tag Archive | "Youth Day"
Sportsmen for Youth will hold Youth Day this Saturday, September 9, from 9 a.m. to 3 p.m. at the Muskegon County Fairgrounds, 6621 Heights Ravenna Road, Fruitport, Michigan. This is a free, family-friendly day. The first 3,000 youth 17 years of age and younger will receive a t-shirt, free lunch, prize drawings, and goodie bag. Youth Day is designed to introduce and educate youth to all things outdoors, from hunting and fishing to conservation and good stewardship of our natural resources. 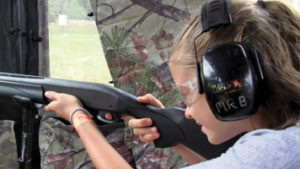 Youth Day is dedicated to promoting the safe pursuit of outdoor activities. Youth Day includes fantastic guest speakers at the Hawg Trough, which is a semi-trailer size tank that will be filled with local fish species and act as a stage for guest speakers. Mark Martin, Logan Locke, Dan Zatarga, Mitch Johnson, Chris Noffsinger, Kyle Buck, Todd Sokolow and Stacey Chuppallo will entertain the crowd. 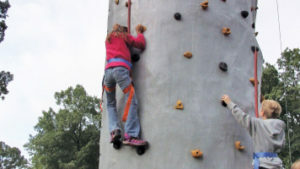 A rock climbing wall and birds of prey exhibit will be on hand. Sportsmen for Youth is a non-profit organization and is able to continue Youth Day free thanks to the generosity and donations from local businesses and private donations. It costs approximately $30,000 to make Youth Day happen free of charge. Again this year there will be a raffle for five firearms and a kayak. All proceeds to be used for Youth Day. Visit their website at www.sportsmenforyouth.com, or email them at sportsmenforyouth.info@gmail.com.